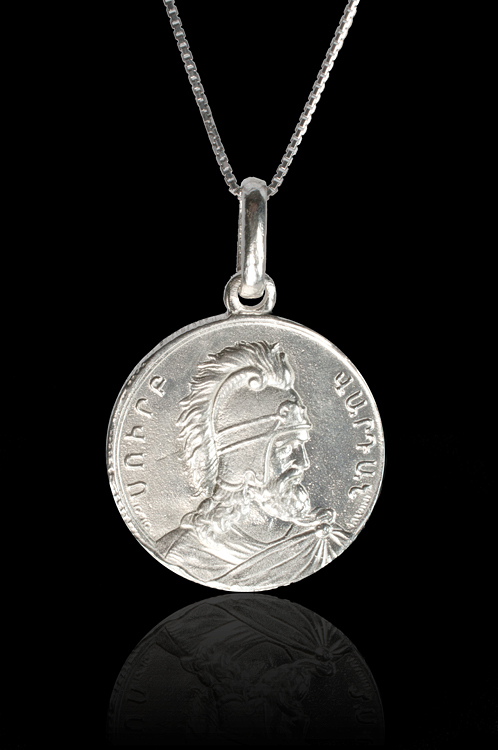 This silver medal pendant features a profile of St. Vartan on one face and a scene from the historic Battle of Avarayr on the other. 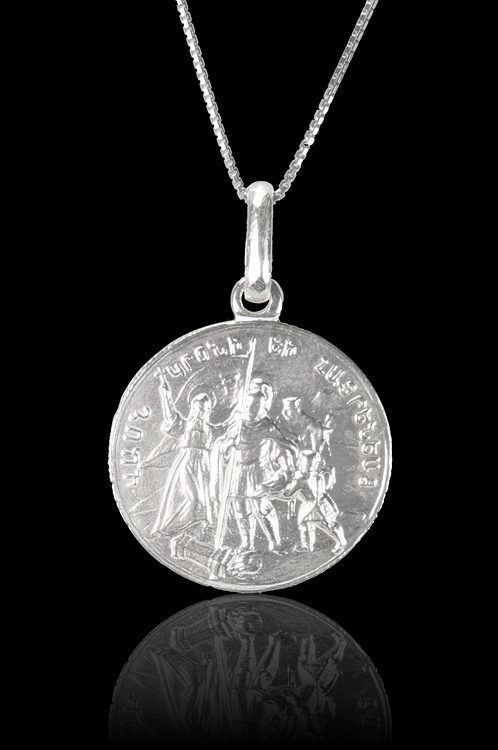 The pendant measures 1 inch. Chain sold separately.